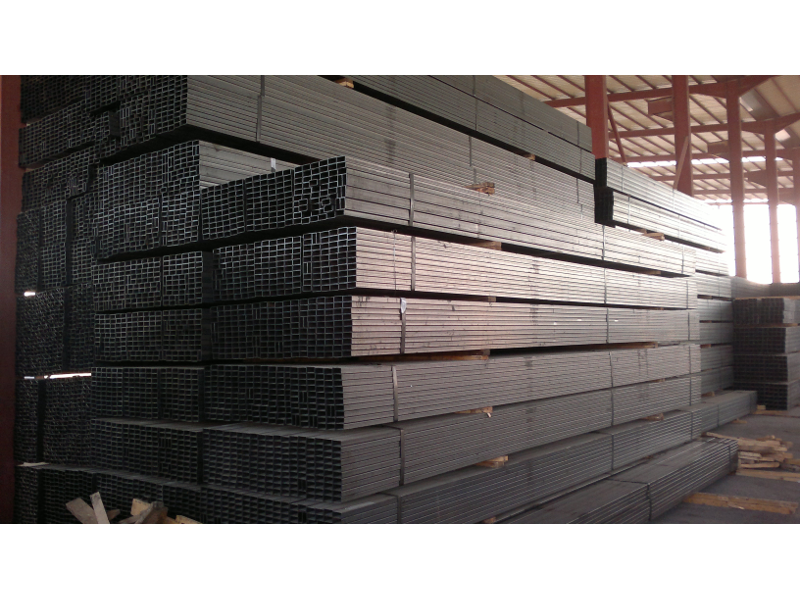 Arabian Steel Pipes Mfg. Co. is one of the oldest pan Arab bodies successfully in operation since 1980's. 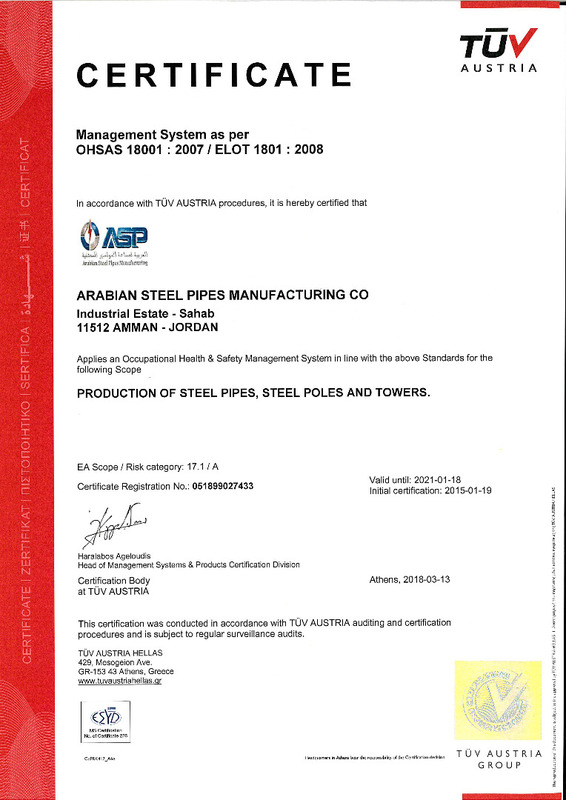 Arabian Steel Pipes Co. ranks first among the various pipe and tube manufactures in the region. 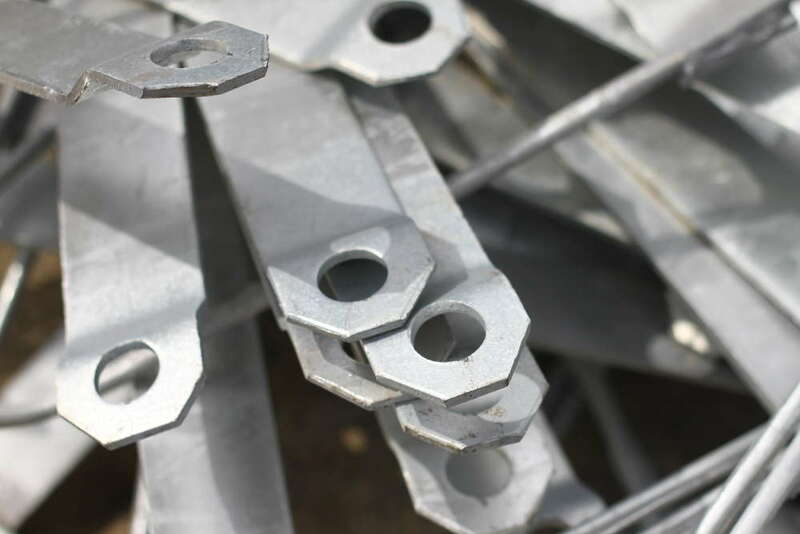 Its products well characterized by their high quality emanating from raw material ordering, through adhesion to international standards and strict quality procedures beside the continuous updating of the production hardware using the latest available state of the art technologies. 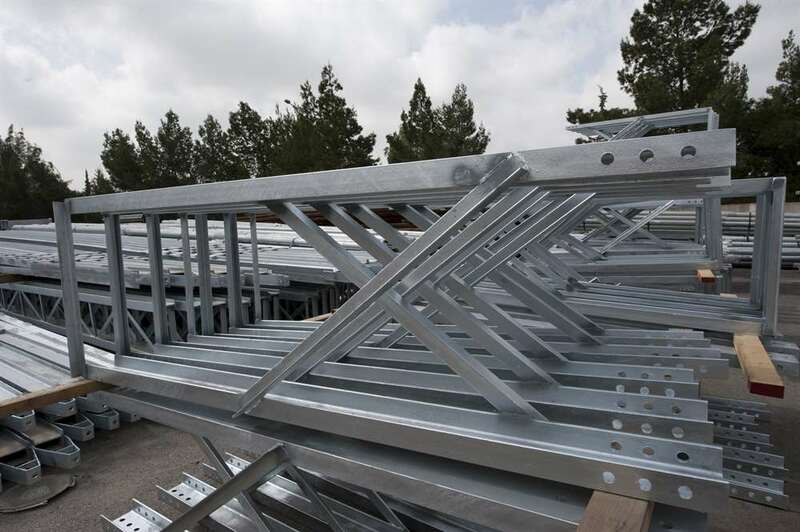 The foundation of ASP goes back to the Eighties of last century to achieve a dream of a group of Jordanian business men, working in the Arabian Gulf and Saudi Arabia, of setting up a Pipes factory, have founded the company in Jordan. 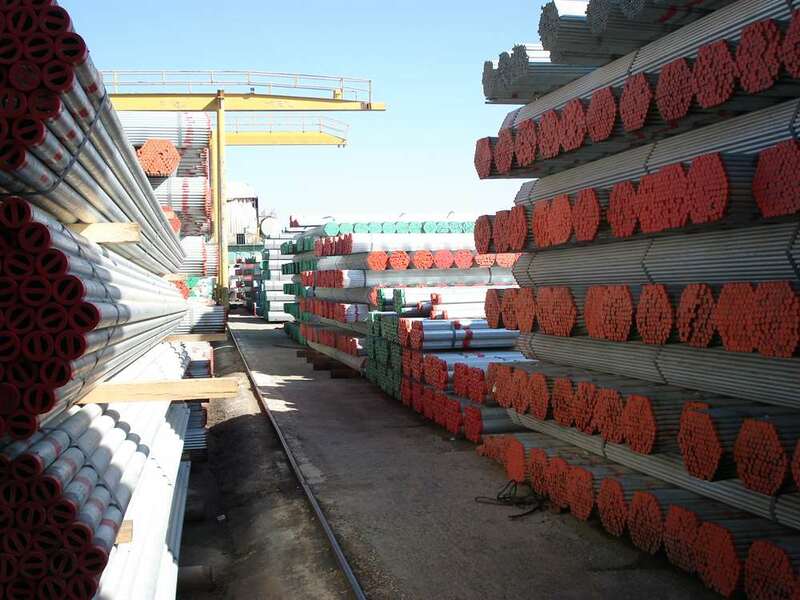 In 1987 a major development took place when a new entity at a capital of 4.5 million has emerged under the name of Arabian Steel Pipes Manufacturing Co.
Another major development happened in 1994, when the legal status of the company was changed to a Public Shareholding Co. at a capital of JD 6 million. 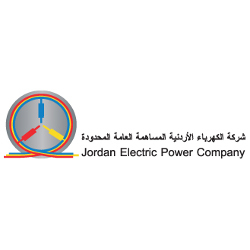 This fortunately coincided with the participation of The Jordanian Islamic Bank as another major shareholder. After a few years the capital was raised to 9 million. 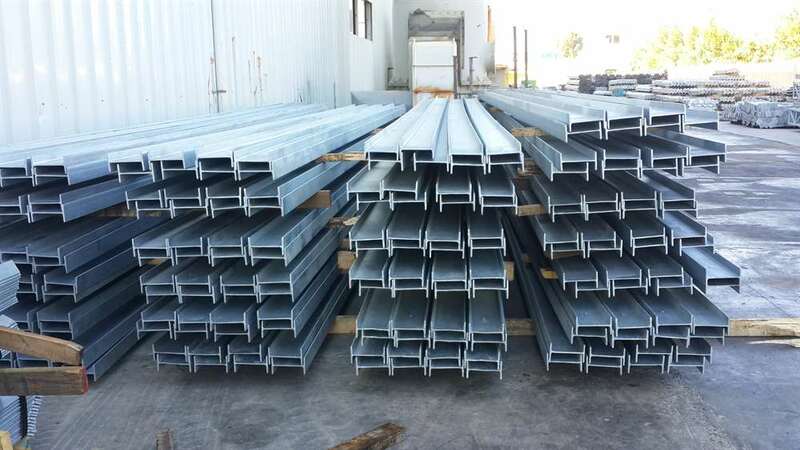 Location The Headquarter of the company, its factories and warehouses are located in Abdullah Bin Al-Hussein Industrial Estate/ Sahab, on a surface area of approximately 45000 square meters. 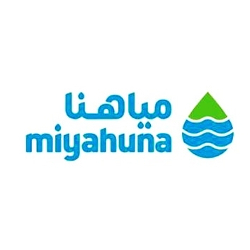 To serve products and fulfill the needs for electricity and water projects locally and regionally. 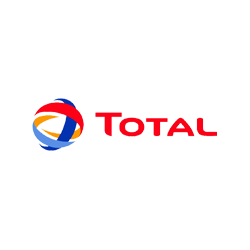 To develop and extend our products, manufacturing technology, occupational health, quality and environmental issues to tackle the challenges of the third decade. 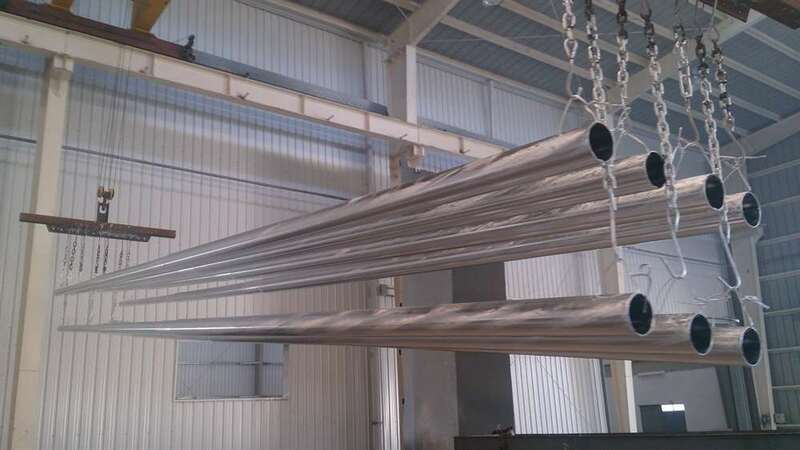 Black and galvanized steel pipes. 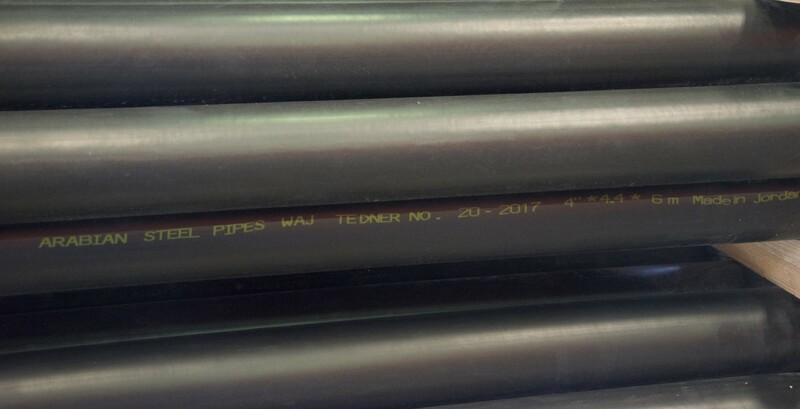 In 1996, production of coated pipes was added. 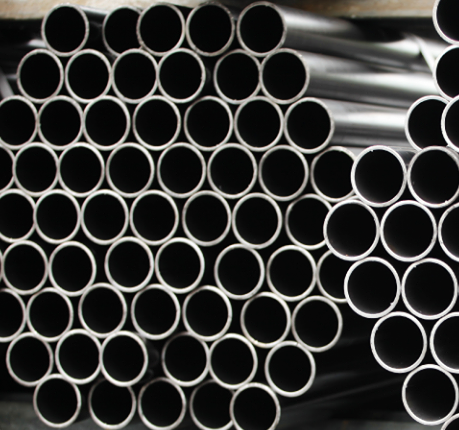 In 1999, the production of column pipes in the affiliated company was added. 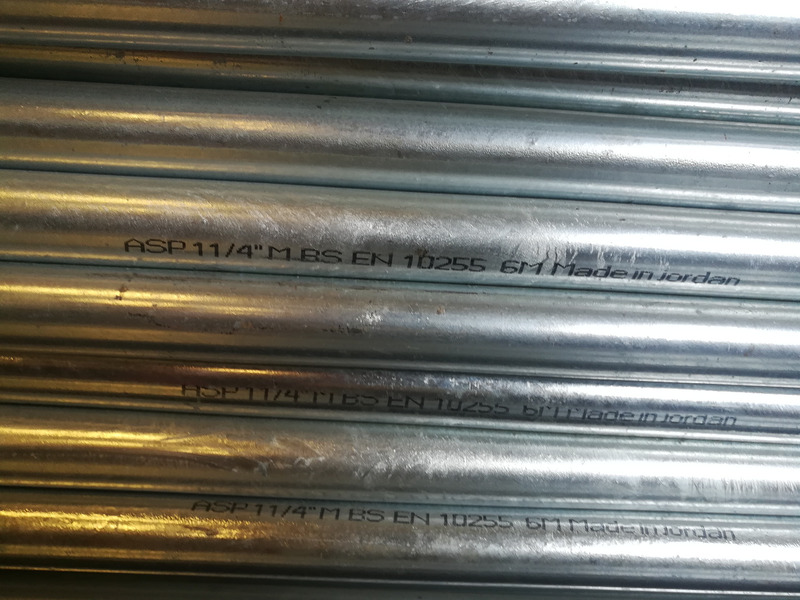 In 2000, the production of tubular and lattice low and medium tension electric poles was added. 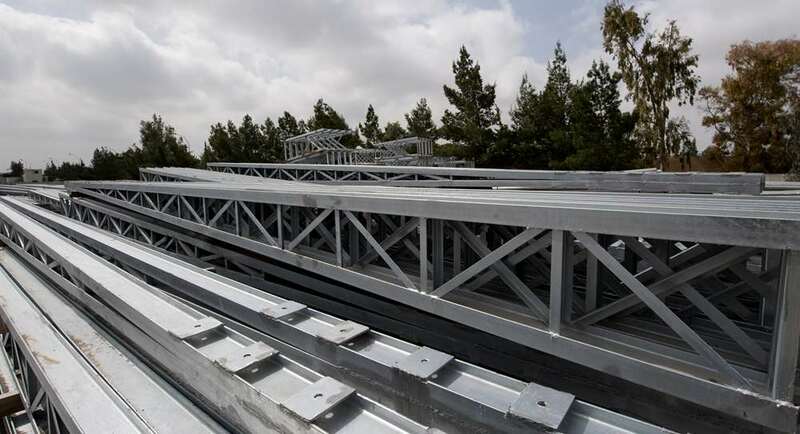 In 2007/2008, the production of over head lines & high voltage and communication towers were added. 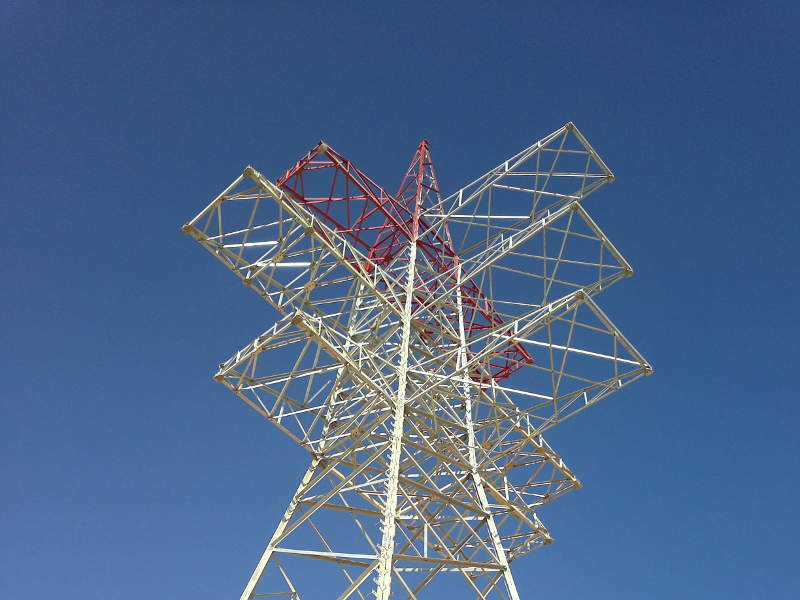 Dismantling and installing high-voltage towers and electromechanical works, through the affiliated company, Arab Romanian Company for Electromechanical Constructions. 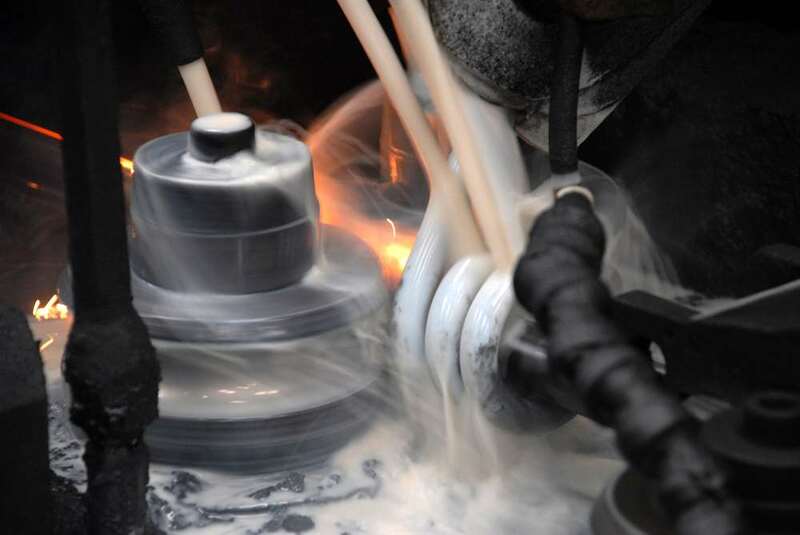 Since its foundation, ASP is committed to high quality products to meet our customers' requirements and expectations through R&D, continues improvement of processes, staff development, setting and reviewing objectives. 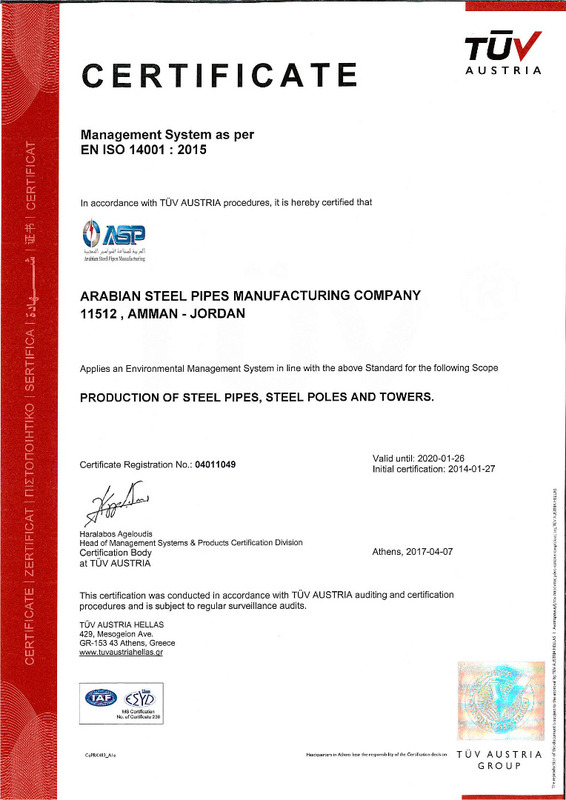 In addition: ASP was one of the first companies in Jordan acquiring ISO 9001 Certificate (Quality management System) since 1994. Acquiring ISO 14001 Certificate (Environmental Management System). 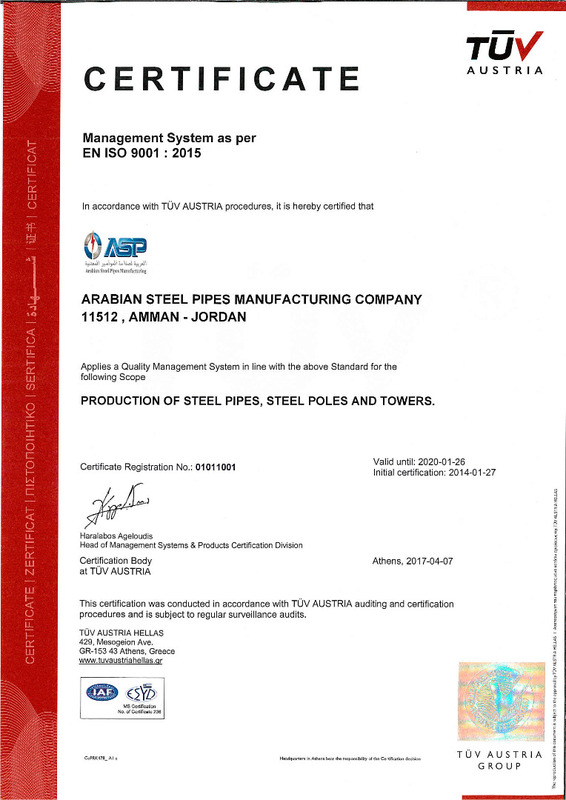 Acquiring Jordanian quality mark Certificate. 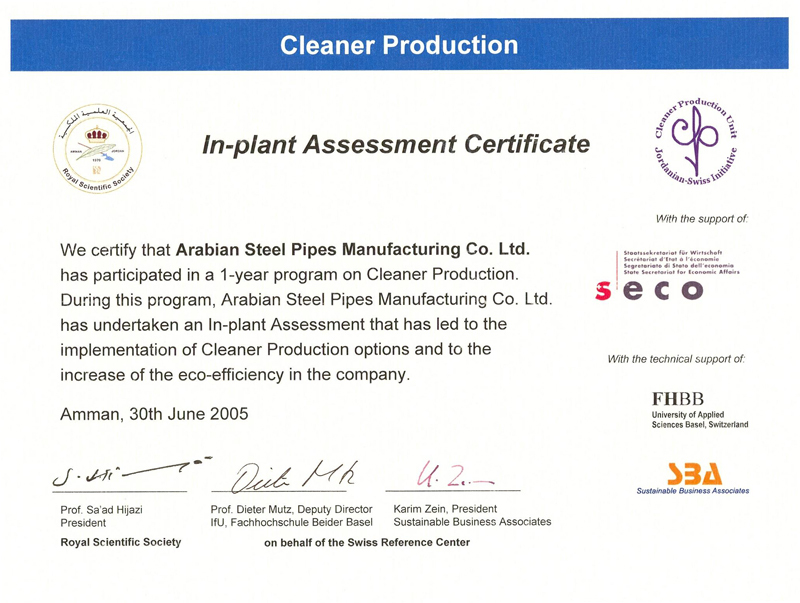 ASP was one of the first companies contributed in the Cleaner Production Project. 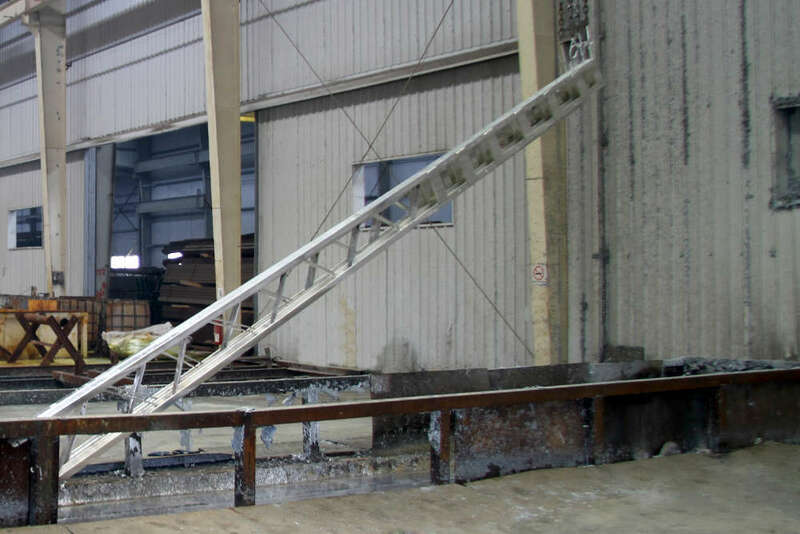 Acquiring ISO 18000 (OHSAS) Certificate (occupational safety and health). ASP accompanied progress of IT as it plays a critical role in facilitating modes of communication, increasing productivity and efficiency of daily business processes and improving decision making. 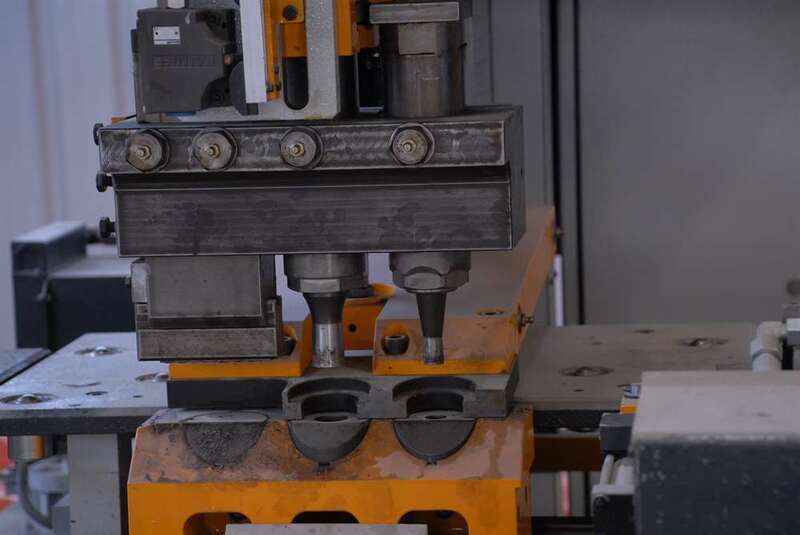 Utilizing ERP helps to integrate information flows, plan operations and processes among departments for example, Supply Chain, Manufacturing, Finance, Human Resources, Warehouse Management, etc. 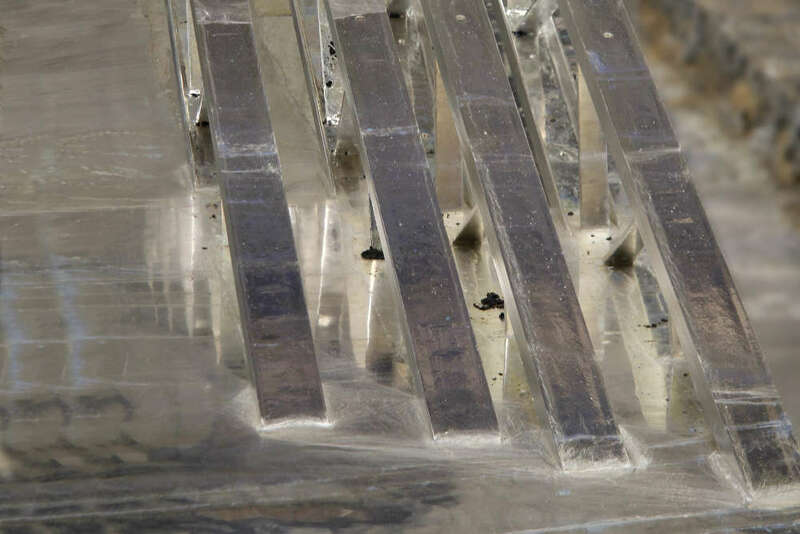 making all resources accessible for the right person in the right time in consistent and accurate manner. This in turn reflect positively on our customer's satisfaction. Beside local market which ASP has a major share in it, ASP exporting its products to several neighboring countries mainly IRAQ, SYRIA, PALESTINE , LEBANON , EYGPT ,LIBYA and YEMEN. 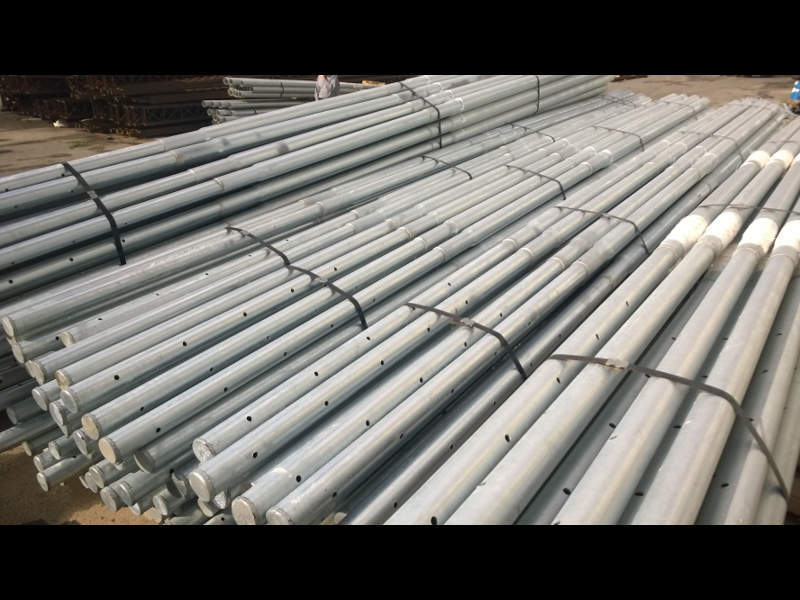 With a Variety range of products, ASP is able to serve in two major fields ELECTRIC POWER TRANSMISSION and DISTRIBUTION and WATER TRANSPORTATION NETWORK.